Grouping ⋆ 100% Private Proxies - Fast, Anonymous, Quality, Unlimited USA Private Proxy! 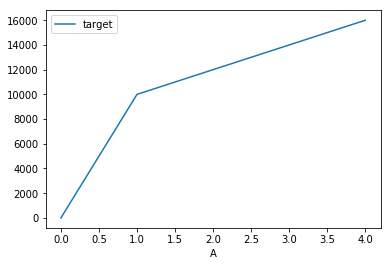 Now, I want to groupby column ‘B’ by intervals of 10 and plot ‘A’ versus various ‘target’ values. I want to have 4 different line plots. but I am not sure how to loop through this grouping. How could I combine these two approaches to achieve an events feed where items are grouped under the Day headings? Any tips would be greatly appreciated as I’m new to using REST. I am working with the module Better Exposed Filters (BEF) within my view. I have about 12 exposed filters, some of theme are select lists and some are range sliders. Some filters thematically belong together which is why I try to visually group them under a headline. Unfortunately, this can’t be done using BEF. I also tried Views Exposed Groups but this module can only be used instead of BEF, not together (I need BEF because of the slider funcionality). Besides I tried MEFIBS (More Exposed Filters in Blocks) which isn’t suitable for me too. Does somebody know of another module that helps me to accomplish this problem? PS: I am no coder so editing the exposed-form.tpl.php is the last option for me. I am trying to display the data submitted through a webform in graphical manner using charts. I want to group the data by field. For example , if there are n customers and they submit the order to purchase a product through a form. I want to draw a graph showing how much total money each customer spent on shopping respectively. The problem is if a person order two times, I am not able to sum the total amount he spent on shopping. Though I selected group by field option with name, amount is displaying separately. I’m building a view to use as search. I’m grouping the results by a term field and everything works fine. What I want to do is add a count after the group title to show how many results that exists with this term. Can’t find a way to do this in drupal 8 so I’m asking you. I’ve google for half a day without finding anything. I need to share a spreadsheet with some locked cells, but it is necessary that the user can use the grouping and ungrouping functions of rows. Within the pooled range there are locked and unlocked cells. The user must be able to view all the cells in the grouped range (cells locked and unlocked for editing). Can anyone tell me if there is equivalent function in Google Sheets? Can anyone please help me how to add/alter/remove aggregate options like count/sum/average etc. along with groupings using hook_views_query_alter in Drupal 8. I cant seem to find a suitable example. How to print a taxonomy term’s field value alongside a Views grouping header? In Drupal 8.4.4 I have a “Living Things” taxonomy vocabulary. One field on the terms in the vocabulary is “Most Common Name”, with machine name field_most_common_name. On my “Animalia” term its value would be “Animal”. In Views, I have a “Taxon Media” view which lists media related to the taxonomy term. I display it in a block on the taxonomy term’s pages themselves (not on nodes). In the view I group media by another field, “Primary Taxon”, which is a reference to the term. It prints on the page as the grouping heading (e.g. “Animalia”). How can I print the value of my “Most Common Name” field next to that title? i.e. “Animalia Animal”.